It is a gas guzzler but the amount of stuff you can fit inside it crazy. The size of the car is great and it rides pretty smoothly. The inside is very large and roomy. You can fit 7 people with some luggage or other items in the car as well. Great visibility from the dashboard and the driver and passenger seats recline, move forward/backward and also up and down with the angle of the seat. Does well in all weather but in extreme cold and snow the car will struggle and the batteries have a tendency to die. I went through 3 car batteries in one winter. Other than obvious wear and tear and maintenance coming from how old the car is, it's very reliable and I would buy it again. Wonderful and comfortable family vehicle. 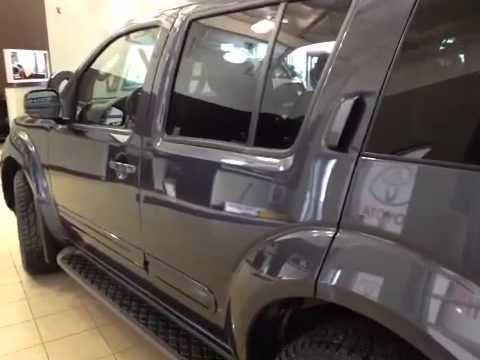 Easily fits a family of 5 with plenty of cargo space left. Wonderful for travel. Middle and rear seats fold down to make plenty of room for fitting large things. Wonderful vehicle for towing trailers or boats. Comes with a DVD player to keep the kids entertained. Separate air and heat controls for front and rear. And driver and front passenger have separate air and heat controls as well. Color and features are the best. The size is great and all the features. I love the color as well it has 4 wheel drive and traction on ice. It has a third row of seats for more passengers. I really love my Nissan. It drives smoothly. It also has a great sound system. There is nothing I would change about my Nissan. Well maybe one thing may payment it is way too high.